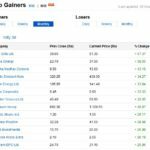 Yesterday someone gave me a call from the US after reading this article on my site – how to make crores from the stock markets. Really? Dude I am not GOD that I can predict what will happen in next 35 years. Hell even WIPRO owner Azim Premji did not know his company’s stock will create such huge wealth for its share holders in 35 years time. How can anyone else know? But if you look closely the growth of WIPRO was just over 50% YOY – year on year for 35 years, that’s amazing. It was getting compounded at over 50% per year for 35 years. Note: There is no guarantee that the same stock will keep performing like this for ever. Please do your own research before investing in this stock. This is what happened, NOT what may happen. Now the question is are you really looking for 800+ crores in 30 years? NO. For most of us 10 crores in 30 years should be more than enough. Let see how long does 1 lakh takes to become 10 crores at 30% a year? And making some 30% odd a year is highly possible in conservative trading (results may vary for users). You just need to make over 2% a month to make 30% a year. Remember even monthly returns are compounded so you do not have to divide 30 by 12 which is 2.5% anyways. You may or may not find a golden stock that performs like a WIPRO or a ITC. And you will know only after 30 years whether they made money for you. Moreover I do not think a single investor held the shares for so long – most would have sold when they doubled their money. In other words you will also do the same. Urging to sell hugely profitable share is an emotion hard to suppress. Almost everyone will sell once they double or triple their money in a stock. Which means there is next to nil chance that anyone will ever become a Warren Buffett again. With trading things are under your control – unlike shares where you do not have any control over their prices. You can only hope. I am not saying that you should never invest in stocks. You should have a portfolio of some good stocks for long term in your trading account, but you should also know some conservative trading strategies to make money slowly over time. Who knows you end up making great profits from both the long term investments as well as conservative option trading? Frankly there is a very high chance. Your risk is the course fee, but you reward is unlimited income till you retire. I am determined for your success as a trader and will go all out to help. But its you who have to decide you want to learn conservative trading or keep losing money trading aggressively. Click here to pay for the course. I bet, you wont regret taking this course. You can Call or WhatsApp me on 90511 43004 if you need to know anything about the course. Fantastic insights. Thanks for sharing.